Helping individuals, businesses, and educational institutions understand the importance of being able to recruit, train and retain diverse groups of people and treat them equitably have been the hallmark of Bryant's professional career. For more than two decades he has consistently been able to provide them with immediately actionable steps and strategies that create cohesion amongst groups and teams, reduce conflicts around issues of difference and enhance individuals abilities to be great global citizens. Bryant currently serves as the Editor -in-Chief of the My Click Urban (MCU) Voice, which is the news and narrative platform of My Click Urban app and site, the best mobile solution for people who live, work and want to connect with urban lifestyles. When how it's said is just as important as what is said, you want Bryant K. Smith to say it. A seasoned higher education administrator, competent classroom instructor and championship winning basketball coach, Bryant has witnessed the power of diversity in the boardroom, classroom and on the court of competition. His award winning program, "The Box" was sited as, "The most powerful and thought provoking experiential learning activity they ever had." Using his uniquely engaging and thought provoking style he both challenges and excites his audience with his critical analysis and passionate delivery. "Insightful", "Engaging", "Deep", and "Real" are all words his audiences use to describe their experiences with him. 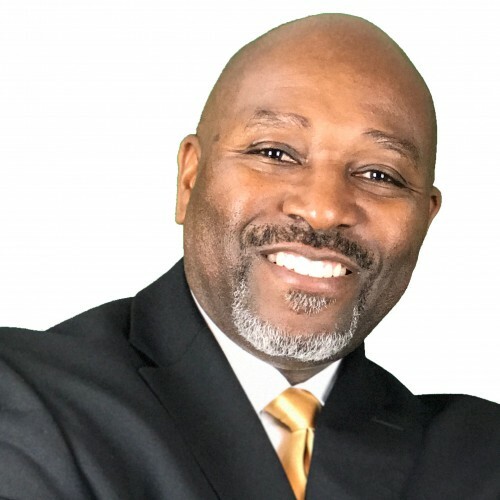 Bryant founded SmithC.A.N., a comprehensive consulting and training firm, in 2000 as a vehicle to better help businesses, teams and schools to invest in their most valuable assets, their people. Bryant has presented to more than 1,000 audiences across the United States and in Spain as the guest of the Spanish Consulate. He has been a Director of Multicultural Affairs and International Student Services at two universities in the United States, and has taught courses in Communication at Clemson University, Diversity and leadership at Lander and Millikin Universities and served as an adjunct instructor of Communication at Tri-County Technical College in Pendleton, SC. Born and raised on the Southside of Chicago, IL and now residing in South Carolina, Bryant incorporates lessons he learned by growing up in one of the most racially segregated cities in the nation and moving to the "New South" into much of his professional work. His personal motto, "Difficult does not equal impossible" serves as a constant reminder that hard work will always overcome hard times. #BLACKNOTBLIND Critical in his commentary, complete in his analysis and contemporary with his subject matter, no one tackles racism and race relations in the United States as engagingly as Bryant K. Smith does. In this updated version of his first book #BLACKNOTBLIND, Bryant takes readers on an eye opening growth experience into the mind of a Black man experiencing both the American dream and nightmare. Before America became “great again”, Bryant warned a generation to be “Black Not Blind”. An excellent institutional text for students, staff and administrators at PWI’s and a must read for anyone committed to identifying, fighting and dismantling systemic racism and white supremacy. Manhood The Missing Manual; Assembly Instructions Everyday millions of boys receive a gift that is worth millions of dollars but only if it has been assembled correctly. This book is the missing assembly instructions that should have come with their manhood. It should have been given to the parents when they made the child. It should have been passed on to the child as he grew into a man. Unfortunately it wasn't but it's never too late. Manhood, The Missing manual; Assembly Instructions is the practical guide to putting one's manhood together. It is the first step in redefining what it means to be a man, and how it is that one becomes a man. FIVE: A Story of Human Potential Coleman Talmadge Green has everything; a great job, a beautiful home and family, an expensive car...and a strong dislike of Black people. What will happen when 5 Black people from his past re-enter his life at a critical juncture? Five is a gripping and compelling look at racism, greed, lust, fate, faith, ethics, and human potential. This modern day morality tale will force you to think about 5 people you have met. It will leave you breathless while asking you to consider whether or not you have been taking a chance with your life, or making positive choices in it? Inclusion & Diversity "Unsung Champion Award" Winona State University. In grateful recognition for your dedicated service and contributions to our students and department H.O.P.E. Academic & Leadership academy. Find out more about Bryant K. Smith at http://www.Smithcan.com.